Description: This video has made during The Great Return March on Gaza Strip borders. 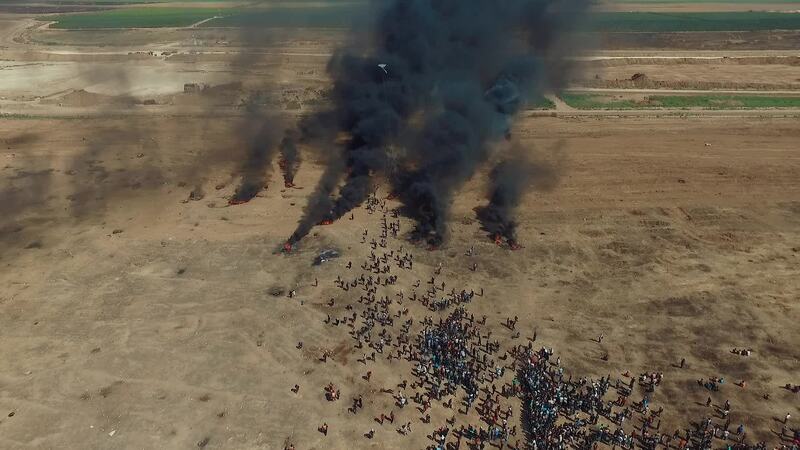 The Great Return March is peaceful protesters demonstration by Palestinian people,since they call for their civic rights to return to their homeland. However, the Israeli army forces encounter them by snipers as well as many of them were wounded. These protests are still going since 3th of march. This video is made under a very confrontational day between the Palestinian people and the Israeli army forces.